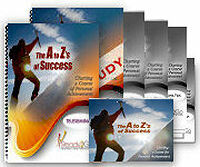 Teleseminar & Self-Study Coaching Program: The A to Z's of Success - Charting a Course of Personal Achievement from Ready2Go Marketing Solutions, Inc.
We all want to experience success in our lives, but perhaps the stronger desire is the feeling of satisfaction and accomplishment that comes from our success. There are two primary benefits to success. The tangible reward that success brings, such as a garden overflowing with fruits and vegetables, a newly decorated room in your home, or a certain sum of money in your savings account. Additionally, there is the feeling that comes from accomplishment – reaching a goal or a milestone. Experiencing success or feeling successful is more about how achieving a goal or reaching a milestone makes you feel. Perhaps your success brings a sense of excitement, renewal, wholeness, and satisfaction. Isn’t it feelings like these that we are really striving for? Aren’t we looking for a greater sense of well-being in our lives from our achievements, successes and contributions? In addition to the tangible results of achieving a goal, being successful also includes a change in your perspective and your sense of self. Yes, you have accomplished a goal. But you also have taken quite a journey. At the point of every successful endeavor, you are different. Your endpoint is also a beginning. 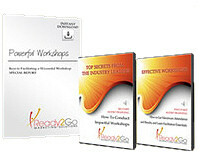 How do you bring this sense of success and completeness into the various aspects of your life? There are keys to this journey. We call them the A to Z’s of Success! In this program, your participants will feel renewed and transformed as they explore the definition of success, learn how to harness their internal and external strengths to achieve their goals, and turn their new discoveries into tangible results. Activity Objective: Participants explore various perspectives of “success”. Activity Objective: Participants imagine the pioneer’s journey to the west as a metaphor for making a successful personal achievement. Activity Objective: Participants break down and explore the definition of success. Activity Objective: Participants will apply the A to Z’s of Success model to a personal success goal they would like to achieve. Activity Objective: Participants identify external supports and tools they will need along the way. Activity Objective: Participants identify internal anchors and inspirations to help them persevere. Activity Objective: Participants recognize how their perspective changes as a result of their success. Activity #1: "My Golden Nugget"
Activity Objective: Participants reflect on the most valuable information they learned in this teleseminar.